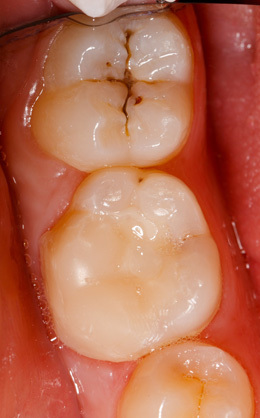 Composite fillings are tooth-colored restorations that are directly bonded to tooth structure. There are various shades of composite, therefore they are esthetic and the match will be very close to the existing tooth color. These fillings can be done on the front and back teeth. Composite bondings require less reduction of natural tooth structure and are generally more conservative. Composite fillings are usually done in one visit and are less expensive than other cosmetic procedures. However bondings can stain or break easier than other procedures like crowns and veneers. Please be sure to let us know if your filling has chipped or broken, as it can be easily repaired or patched in the same visit. We will advise you whether an alternative treatment may be a more long-term solution depending on the condition of your teeth. I want my silver fillings out and replaced with white ones! Drs. Chiu and Singh both rarely use amalgam or silver fillings in the office. If your desire is to replace all your silver fillings with white ones, you definitely should come in to see us to evaluate whether this is the best treatment for you. In some certain circumstances, it maybe necessary to have the silver fillings replaced due to leakage, cavities, crack lines, or esthetic concerns. However, it may not always be in your best interest to go through the process of removing them. Contact us to schedule a time for us to evaluate and discuss your specific circumstance.